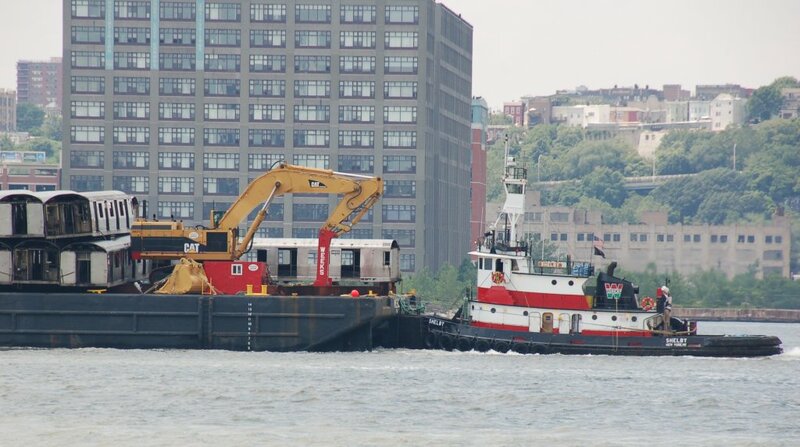 The subway car barge that departed last week has arrived at its destination: Virginia. 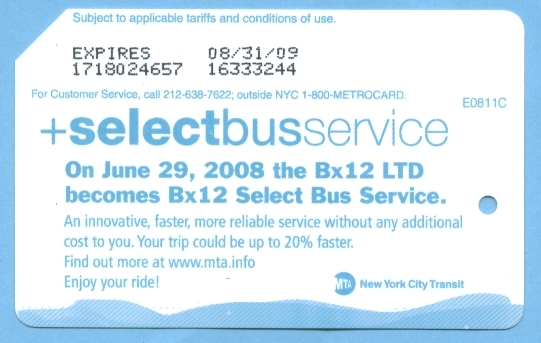 +selectbusservice starts Sunday, June 29, 2008 on the Bx12 bus route in the Bronx. 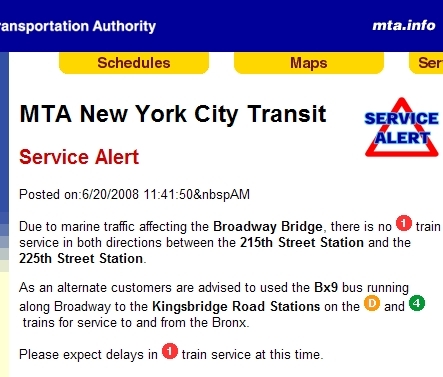 The first bus leaves from Edson Av/Bartow Av at 6:07 AM and runs westbound along the line to the terminal at Inwood / W 207 St / Broadway. Click to download the complete bus schedule. 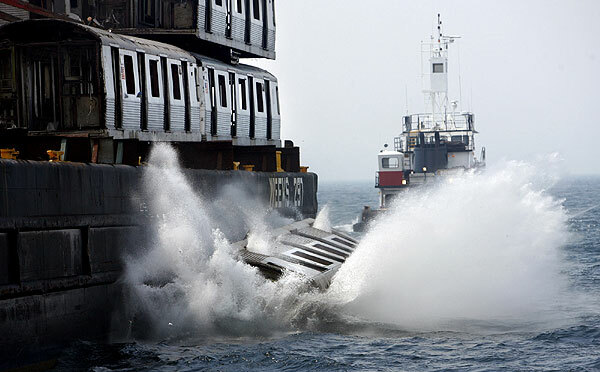 A barge full of subway cars departed New York City today, likely destined for a spot about 10 miles off the coast of either Maryland or New Jersey. The barge is loaded on the Harlem River, adjacent to the 207 Street subway yard. 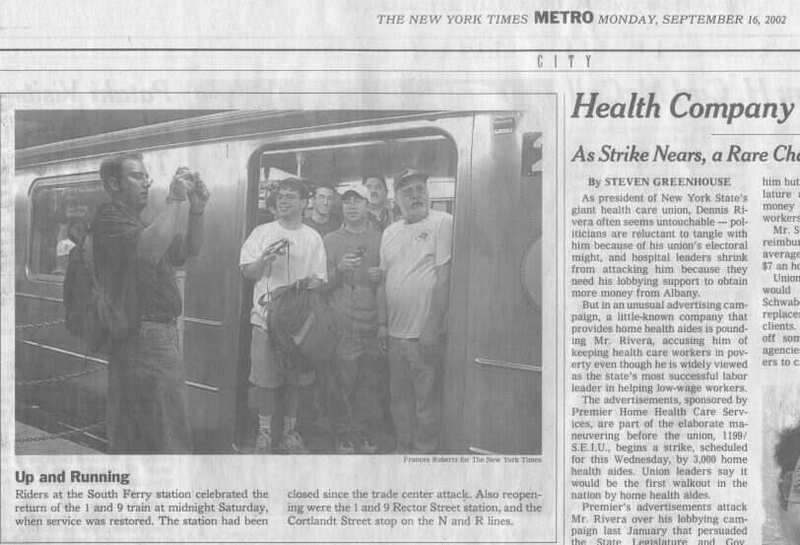 It then travels up to the Harlem River Ship Canal, passing under a raised Broadway Bridge and a swung open Inwood Movable Bridge. After passing under the George Washington Bridge, the subway cars continue down the Hudson River and out into New York Bay.